Standard Tools and Equipment, the parent company of Tools USA and Eagle Equipment, proudly bares the ETL Mark on many of our standard paint booths. 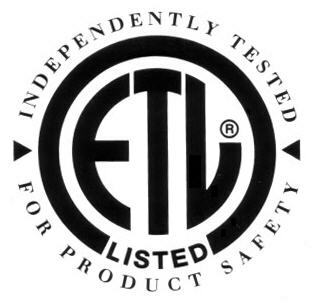 The ETL Mark is the fastest growing product safety certification mark in North America. A product bearing the ETL Listed Mark is determined to have met the minimum requirements of prescribed product safety standards from Intertek, a third-party testing firm that has been around since the 1880’s and is the leader in spray booth certification. Moreover, the mark indicates that the manufacturer’s production site conforms to a range of compliance measures and is subject to periodic follow-up inspections to verify continued conformance. So, what does the ETL Listed Mark mean to you as the consumer? Well, would you buy a car for your kids without knowing it has been tested for safety? It means that you can purchase your Standard Tools Paint Booth with confidence knowing that there has been time, dollars and research invested into making sure that our products have been tested, found in compliance with accepted national standards, and meets the minimal requirements required for sale or distribution. To you the consumer, the ETL Mark is assurance that the product is compliant with safety standards, having been tested and certified by a third-party organization.